Insulin is a peptide hormone produced by beta cells in the pancreas. It regulates the metabolism of carbohydrates and fats by promoting the absorption of glucose from the blood to skeletal muscles and fat tissue and by causing fat to be stored rather than used for energy. 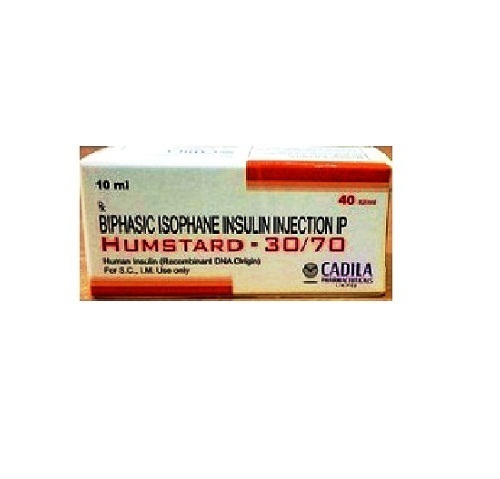 Insulin also inhibits the production of glucose by the liver.Except in the presence of the metabolic disorder diabetes mellitus and metabolic syndrome, insulin is provided within the body in a constant proportion to remove excess glucose from the blood, which otherwise would be toxic. When blood glucose levels fall below a certain level, the body begins to use stored glucose as an energy source through glycogenolysis, which breaks down the glycogen stored in the liver and muscles into glucose, which can then be utilized as an energy source. As a central metabolic control mechanism, its status is also used as a control signal to other body systems (such as amino acid uptake by body cells). In addition, it has several other anabolic effects throughout the body.